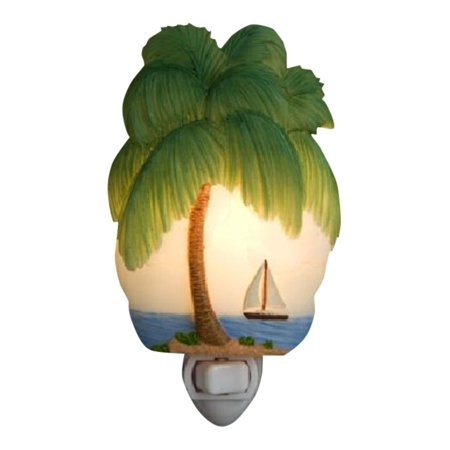 Palm Tree Nightlight, beautifully crafted by Ibis & Orchid, Inc. This Palm Tree Nightlight, beautifully crafted by Ibis & Orchid, Inc., is cast in quality bonded marble and then expertly hand painted. The draping green palm fronds, the blue of the sea, and the wind in the white sails all evoke a sense of freedom and relaxation.